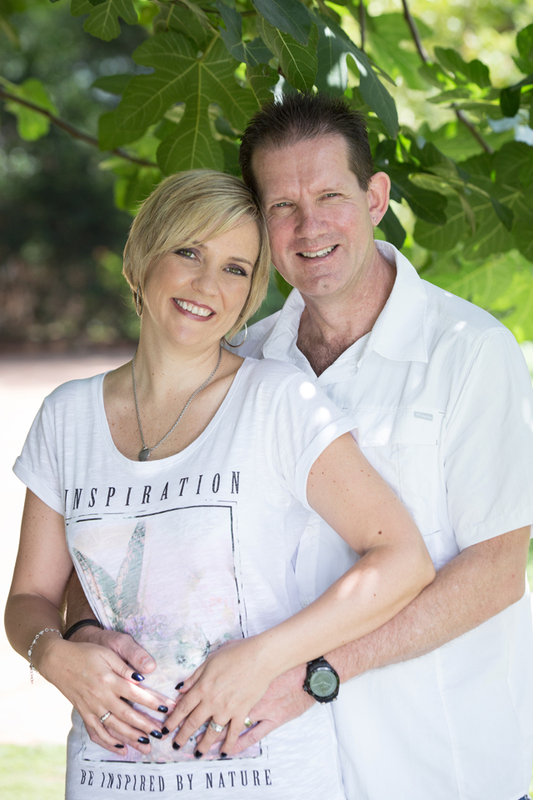 I did Rob & Stephanie's couple shoot at Casalinga Ristorante on a hot Sunday morning. They took the time to write me a little something about their relationship. How they met and the roads life took them. I feel honoured that you chose me to do your special couple shoot! Their story began many years ago. 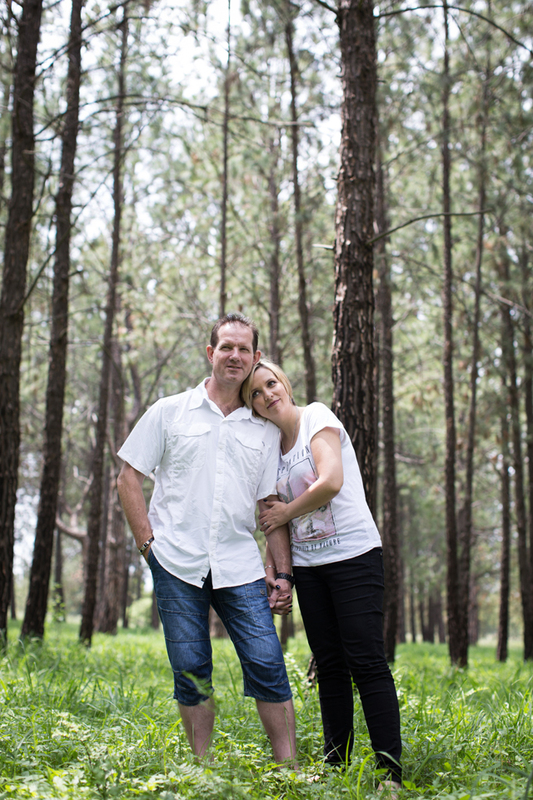 They grew up on the same private school campus, at the foot of The Helderberg Mountain, where both their parents worked. Stephanie knew Rob as the older naughty brother. Rob left the campus to study further and Stephanie continued school with his brother Lance, whilst being taught by his Mother and Father. Years passed and they fell out of touch as we both built their lives, married & had children. They always kept tabs on each other because of the close family connection. Years later, after Stephanie's sons left to study in Australia, they met up again on Facebook. When Rob heard Stephanie was taking a position in Sandton, he wrote "If you need help finding your way around Jozi, just shout!" A month later he received an email titled 'This is a shout!'. They met up and really enjoyed getting to know one another again. Stephanie loved spending time with Rob's kids, RJ and Tyra. While they were both single, Stephanie was dead set against dating or marriage. Luckily Rob has a very charming nature and after a breakfast date, later referred to as the "Hot breakfast date" post on Facebook by Stephanie, Rob plucked up the courage to ask Stephanie to formally date him. It didn't take long before Rob went down on both knees and asked Stephanie to marry him. There was no need to answer. Stephanie had fallen head over heels in love with the gentle spirit and wonderful Rob. They celebrated the engagement with Tyra that night and woke Jesse and Jaime in Australia with their happy news. Due to the fact that two of their sons were overseas and two of their parents weren't well enough to travel, they decided to plan a romantic elopement instead of a big wedding. The ceremony was simple and quick, they wore simple outfits and enjoyed a quiet meal afterwards, just the two of them. Ever since that day they promised themselves that they would get professional photos taken. They both share a love of photography and have hundreds of selfies, but just didn't get around to finding a photographer whose work they really liked. Rob became gravely ill during 2012/2013 and he nearly died twice. His specialists maintain it is a miracle that he is alive today. During the 14 months of hospital care, losing over 30kg's and being so very ill that most days he didn't speak, getting a photo shoot became a priority for them. Three years of waiting and they finally have official photographs to send to their family, friends and children announcing 'Mr & Mrs van der Molen'! It is never too late for a couple’s shoot or finding your one true love!